There has been many times where we have seen men walking down the runway of high fashion designers with a big, heavy, and beautiful fur coat on their shoulders. Let us rewind to the ice age and its humble cavemen. 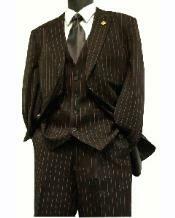 In the 1920’s and 1930’s 2-button peak lapel suits became popular for day styles. 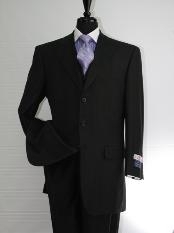 The 2 button peak lapel suits are considered to be a fashion statement. 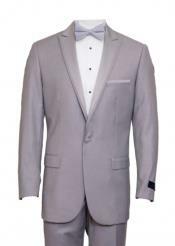 The wide lapel is great for all occasions especially for nighttime affairs. 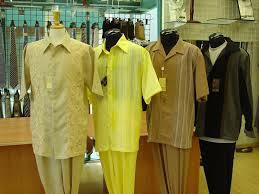 They can be a staple in your wardrobe. 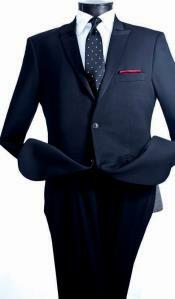 These peak lapel suits come in 2 button, 3 button, also in 3 piece. The Peak Lapel suit is exotic as it is one of the hardest lapels to cut even for the most experienced of tailors. 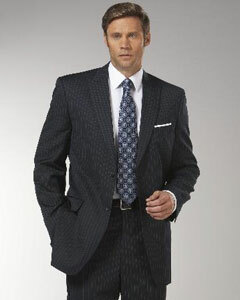 The peak lapel suit is not very common. Most men prefer to be in the silent notched majority. 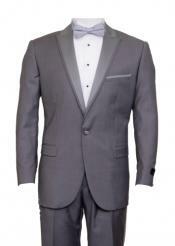 The peak lapel suit is for more of a suave and distinctive gentleman. 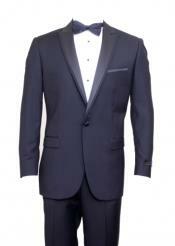 So to follow tradition most 2 button and 1 button peak lapel suits are used in dinner jackets and tuxedos both single and double breasted. 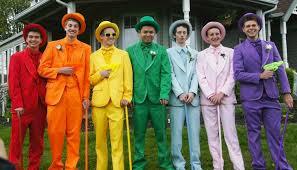 Tuxedos are worn for very formal occasions. 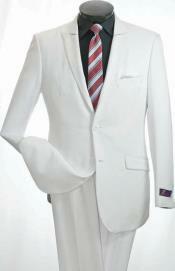 The more popular peak lapel tuxedos comes in Ivory or White dinner jackets, as it is a timepiece. 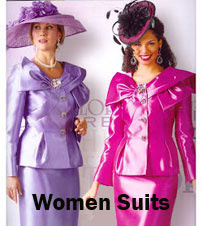 The lapels on these suits are different than a traditional notch lapel. 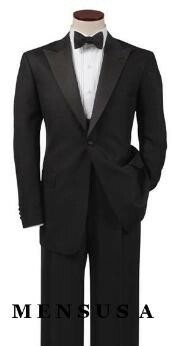 Many classically dressed men love to wear peak lapel suits. The Peak lapel suit is great for all occasions. It can be worn to dinners, weddings, or for business meetings. Clients are very specific when it comes to their lapels. Traditionally peak lapels only came on classic fit suits, but not many designers are using them on slim fit suits as well. 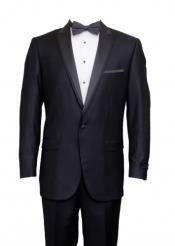 The slim fit peak lapel is very unique and stylish. 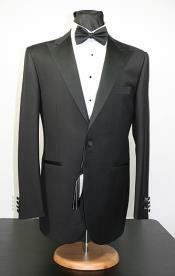 The tailored look is popular amongst the stars and used for many red carpet events as a staple piece. The shiny sharkskin peak lapel suit is most common at these red carpet events and is often used for attention and publicity. 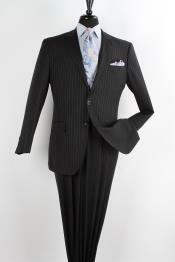 p>Peak Lapel suits are best worn when matched up with the perfect shirt, tie, and hankie. 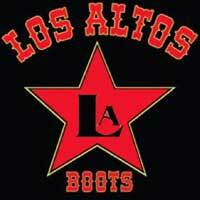 This will make you the best dressed of the night. When you attempt to wear the peak lapel suit, know that you will catch the attention of friends and family. 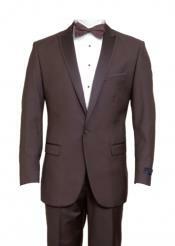 Peak lapel suits are like no other suits, very distinct and special. It is a suit for anyone who likes to wear suits and show them off to the world.Most men love to pair up the peak lapel suit with exotic shoes, fedoras, godfather hats and two-tone shoes. In this new age we have acquired a taste for different styles and cuts of suits, one of the current and most popular being the fashion peak lapel suit. 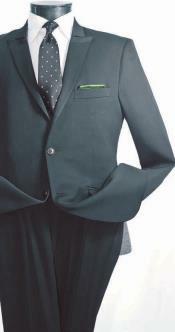 This suit is known for its longer coat, ticket pocket, and pick stitching on the lapel. It is very worth it to have a suit like this in your wardrobe. 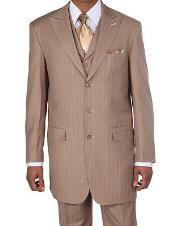 High fashion peak lapel suits are well known for the exaggerated features and length of their coats. High fashion peak lapel suits come in many different styles such as pinstripes, vested, and zoot suit styles that can be worn year round. 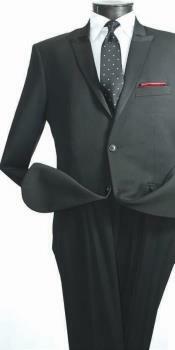 You can always count on a peak lapel suit to make you fit in where ever you are in the world. Wear your peak lapel suits with pride and dignity. As you will look like you are worth a million dollars.